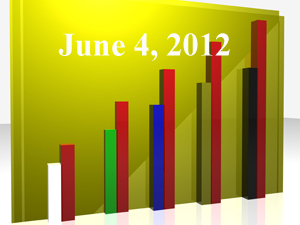 “Does Guaranteed Income Really Make Sense as a 401k Option?” (FiduciaryNews.com, May 30, 2012). Is there evidence to support what surveys say 401k investors want? Quite the contrary. This is the second part of a three part series. The third part was “How Do 401k Annuity Options Increase Plan Sponsor Fiduciary Liability?” (FiduciaryNews.com, May 31, 2012). Will 401k plan sponsors find themselves in the same sorry position as the unfortunate bartender who served one too many drinks? More and more states and municipalities have seen the writing on the wall and are trying to fix the Ponzi scheme known as public employee pensions. There are a few scant hold-outs, but, heading into Wisconsin’s recall election over this very same issue, from the reporting, it seems many politicians have already voted in favor of Wisconsin Governor Scott Walker. “Providence, union leaders reach pension deal,” (Boston Globe, May 29, 2012) In one small step towards fiscal responsibility, Providence is able to stave off bankruptcy by eliminating COLAs from pension payments. “Maricopa judge: Halting pension raises unconstitutional,” (The Arizona Republic, May 29, 2012) Well, isn’t this an interesting conundrum. The legislature passes a law removing COLAs from pensions of, among others, elected officials and judges. Then a judge, presumably one affected by this law, decides the law is unconstitutional. Who’s checking what balance here? “Judge: NJ doesn’t have to pay COLAs for retirees,” (CBS News, May 30, 2012) The judge OK’s the New Jersey law meant to lower public pension costs. Maybe this judge didn’t get the Arizona memo. “CA Senate OKs bill creating retirement plan for private sector employees,” (The Sacramento Bee, May 30, 2012) How does one explain a state that can’t pay its current bills creating out of thin air a “retirement” plan for private sector workers? (And, no, we’ll bypass the obvious “medical marijuana” jokes.) Despite passing in the Senate, there is bipartisan agreement this is a bad idea. “San Jose Shows the Way Out of Public-Pension Sinkhole,” (Bloomberg, May 30, 2012) In an effort to prove at least some portion of California hasn’t fallen into the Pacific, San Jose takes the lead and will give its public workers a choice: either chip in towards your retirement or take less benefits. “Lawmakers want to change retirement plans for state, school,” (WHTM-TV, May 30, 2012) Pennsylvania sees the coming wave and wants to move to defined contribution plans before it’s too late. “Fitch: Recent Bankruptcies Highlight Recovery Implications for U.S. Pension Plans,” (MarketWatch, May 31, 2012) More problems with pensions. The longer until a decision is made, the more we can write about it. “Looming election slams brakes on fiduciary regs,” (InvestmentNews, May 27, 2012) Does this surprise anyone? “Raymond James’ Helck on Fiduciary Standard: ‘No Problem,’ but ‘Devil in the Details’,” (AdvisorOne, May 29, 2012) This is the first time the issue of “discretionary” vs. “non-discretionary” has come up. Helck may have a point, but traditional trust law (from whence we derive the fiduciary standard) also has the capacity for both discretionary and non-discretionary (or “directed”) trustees. How do they handle it? And why shouldn’t advisers be held to the same standard? “JPMorgan, the Dimon Principle and Fiduciary Duty,” (AdvisorOne, May 29, 2012) Author Knut Rostad has an instructive take on the fiduciary angle of a story popular in today’s headlines. “How Long Can Advisors Avoid Public Disclosure of Their Conflicts of Interest?” (AdvisorOne, May 30, 2012) With doctors now being run through the mill for their pay-to-play pharmaceutical schemes, how much longer until advisers are shown the same treatment? All right, we all know 401k plan sponsors and investors are in the dark on fees. And we all know fees have to be paid. And we all know the DOL doesn’t want plan sponsors chasing the lowest fees (because that might mean the lowest service). But, why can’t we all agree on what fees matter? “401k fees could reduce average nest egg by 30%, study says,” (Los Angeles Times, May 29, 2012) Even Mike Alfred, chief executive of BrightScope and no fan of 401k fees, is quoted in the article as saying, while a problem, the data presented may be overstated. Again, we have what appears to be a mathematically unsophisticated mass media outlet throwing misleading numbers around in ways that scare rather than enlighten. “Guess How Much Your 401k Plan Is Costing You in Hidden Fees,” (Business Finance, May 31, 2012) Just another in a series of mass media reports highlighting the “conclusions” of the controversial Demos Report. This one, however, has the added bonus of misrepresenting data from that report, which focused on the future returns of only one mutual fund, to claim all mutual funds underperform the market. “401k Fees Have Employers, Employees in the Dark,” (ABC News, May 31, 2012) Half of 401k plan sponsors don’t know if their plan pays fees. “Employers don’t know enough about 401k fees,” (BenefitsPro, June 1, 2012) And it’s worse for smaller plans, which, understandably, pay higher fees. “Should we scrap the 401k system and start over?” (Reuters, June 1, 2012) Despite title, this article begins to chisel away at the veracity of the Demos Report. Despite yet another article slamming TDFs, the DOL comes up with a surprising conclusion: There may be an upper limit to the number of mutual fund options a 401k plan menu should offer. “DOLs Answer in Fee Disclosure Guidance Surprising,” (PLANADVISER.com, May 29, 2012) The DOL suggests strange things start happening once a 401k plan exceeds 25 options. “Target-Date Funds Are Too Complicated,” (SmartMoney.com, May 29, 2012) Chuck Jaffe says all TDF’s aren’t created equal and, if 401k investors want a certain asset allocation, they should build it themselves.